The import of the Oriental Museum strikes home fully in its historical setting. 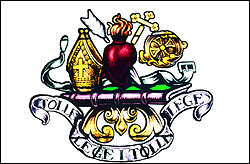 Emblem of the Augustinian Order. Church of the Royal College of the Augustinian Fathers in Valladolid. 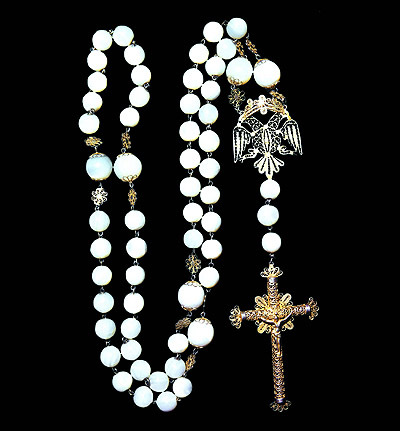 Work of the Brothers Maumejean, Madrid 1937. 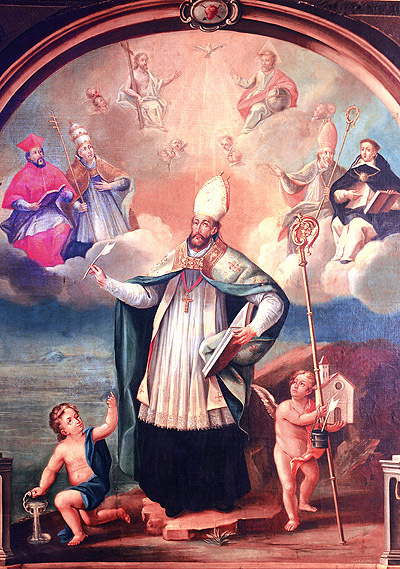 Since the museum is an Augustinian undertaking, we shall start with the figure of St. Augustine (ver imagen), the history of the Augustinian Order in general, the presence of the Augustinians in Spain and the work of evangelisation carried out by the Augustinians of the Province of the Philippines. This historical environment is depicted in the galleries and cloisters of the monastery, leading to the art-works exhibited in the museum. Fourteen large panels, with texts and corresponding maps, and 73 photographic enlargements, illustrate the huge task accomplished by the 2,000 and more missionaries who left this house for the four continents. Besides being ambassadors of the liberating message of the gospel, these missionaries were also teachers, architects, physicians, agriculturists, and promoters of arts, sciences and letters. Especially their presence in the Philippines, China and Japan has had significant impact. Fr. 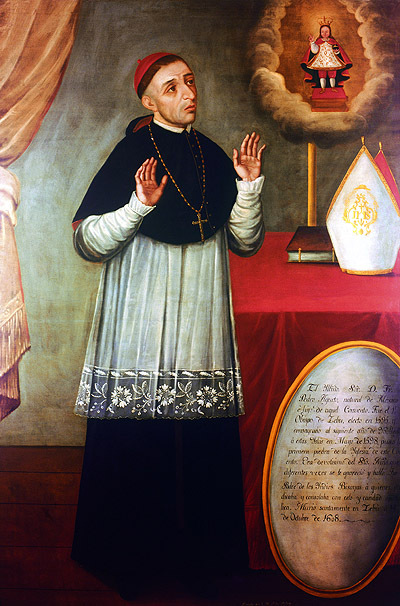 Andrés de Urdaneta (1508-1568), Painting of the XIX Century. 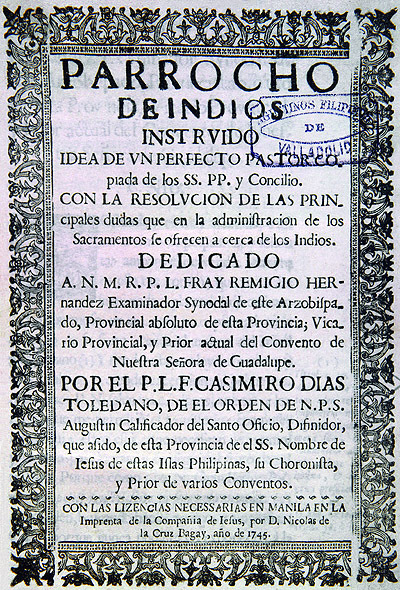 The major contingent of Augustinian missionaries in the Far East was in the Philippine Islands, where they arrived in 1565 as part of the expedition led by Legazpi and Urdaneta. Fr. 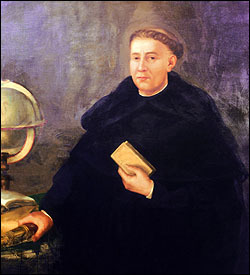 Andrés de Urdaneta and four other Augustinians who accompanied him would become the first evangelisers of the Philippines. In fact, 3,156 of the 8,238 missionaries who evangelised these islands since then to 1898 were Augustinians. Still in 1898, there were 233 Augustinians in the Philippines, attending to a total of 2.320.667 faithful, distributed in 231 towns; they were also in charge of 17 mission stations dispersed in 22 provinces. 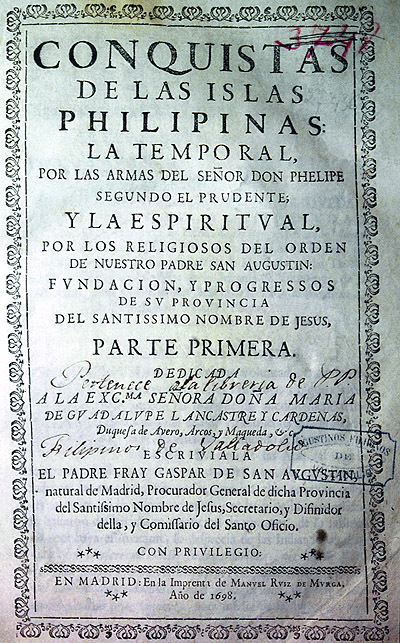 The work accomplished by the Augustinians during this period in the Philippines was quite significant. 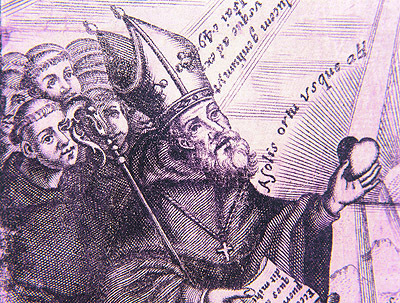 They founded and administered 130 towns, 187 churches and monasteries, 90 schools, 15 chaplaincies, 3 asylums of charity, 7 schools, 1 university and 272 parishes. Besides, they discovered various centres of medicinal water, built highways, roads, bridges, and published numerous books of history, grammar, languages, catechisms, works on botany, etc. Fr. 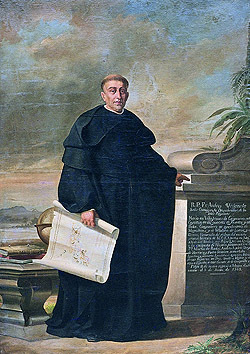 Martin de Rada, Head of the Spanish Embassy to China in 1575, Detail of painting made by Victor Villán in 1879. Finally in 1575, after various frustrated attempts, the two Augustinians, Fr. Martín de Rada and Fr. 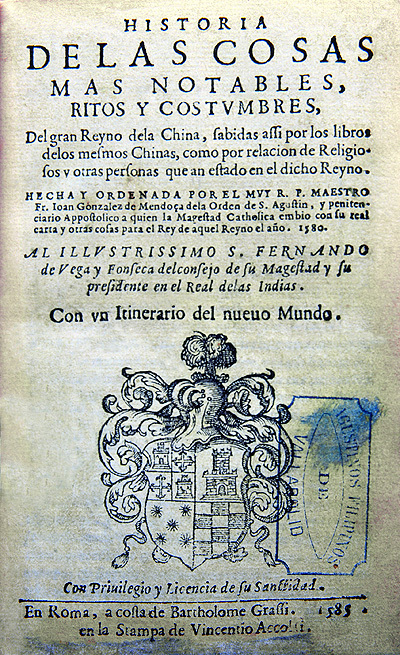 Jerónimo Marín managed to enter China. The monastery of Macau was founded in 1584, and from 1680 onwards began the first foundations in the provinces of Kwantung and Kiangshi, in the south of China. After the crisis of the "Chinese rites", the Augustinians would settle down in the Province of Hunan in 1877. They were entrusted with a territory of more than 81,000 sq. km. in extension, and eleven million inhabitants. Here they developed an intense social and apostolic work until their expulsion in 1952. During these years they founded and administered 32 mission centres with residential quarters and churches; 151 outposts of mission with oratory and house for the missionary; 26 churches; 71 schools for children and 57 for girls; 2 high schools; 1 seminary; 2 centres for catechumens and 1 orphanage, besides the houses of mission in Shanghai and Hankow. Martyrdom of Hernando de Ayala in 1617. Painting of J. Celino, Rome 1925. The initial contacts of the Augustinians with Japan were sporadic. The first arrived in 1584; more followed in 1597 and 1598. The first Augustinians to settle down in Japan were Frs. Diego de Guevara and Eustaquio Ortiz, who reached Hirado in 1602. Thanks to Tokugawa Ieyasu’s new political stance towards Christianity, they were permitted to build a church in the locality of Usuki, in the region of Bungo. Later with the arrival of new missionaries from the Philippines, they would expand the field of mission and build churches in other places such as Agata and Nagasaki. 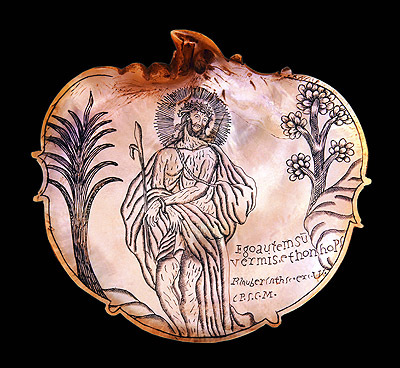 Various Christian communities were established soon in sundry places, and the Confraternity of the Virgin of Consolation and Girdle was also formed, the latter with its numerous members would exert a great influence in the christianisation of Japan. In accomplishing his missionary task, Fr. 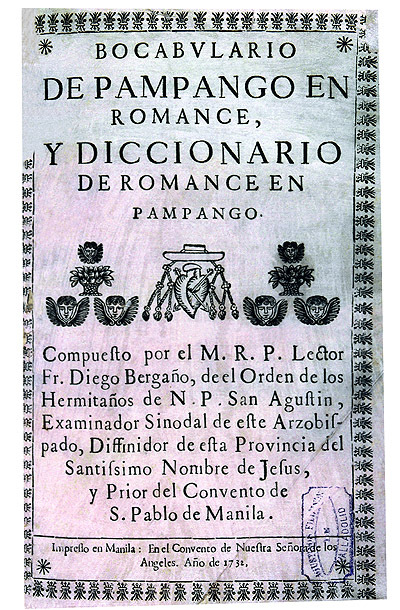 Hernando de Ayala published in Japanese various devotional books (Indulgence of the girdle, Life of St. Augustine, etc. ), as well as a Japanese-Portuguese dictionary. As the various edicts of Christian persecution were implemented, many Augustinians would undergo martyrdom: Fr. 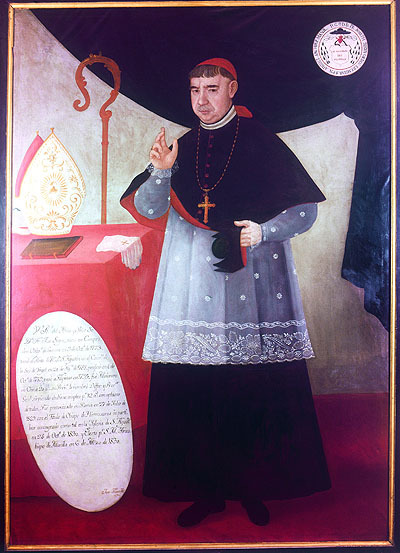 Hernando de Ayala in 1617; Fr. 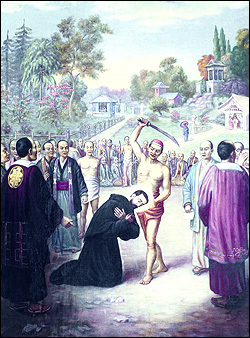 Pedro de Zúñiga who was burned alive in Nagasaki on 19th August 1622; Fr. Bartolomé Gutierres, whom would befall the same lot on 3rd September 1632; Fr. Francisco da Graça, who was executed on 16th August 1633. The Japanese Augustinians, Frs. 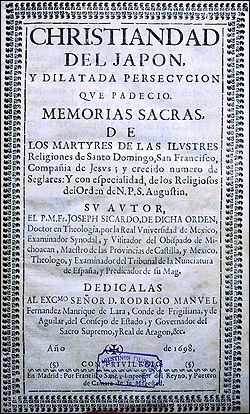 Tomás de S. Agustín, Jijioye (in 1637) and Miguel de S. José, as well as numerous Christians also died as martyrs. These six Augustinian martyrs, and a good number of their faithful, would be beatified by the Pope Pious IX in 1867, along with many other religious of other orders and Japanese Christians.